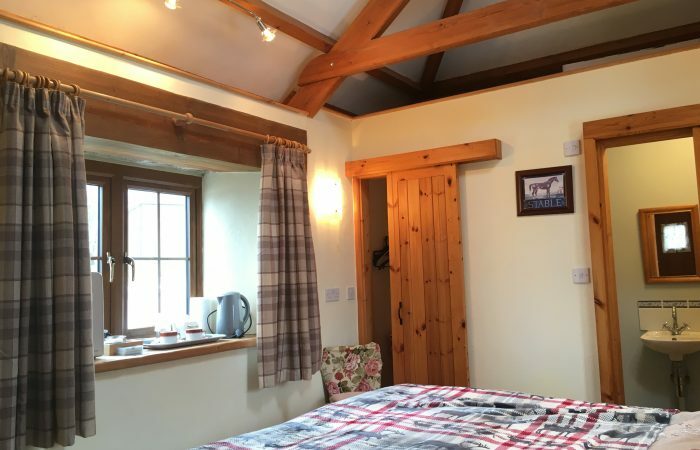 The Stable is a charming converted stone barn. 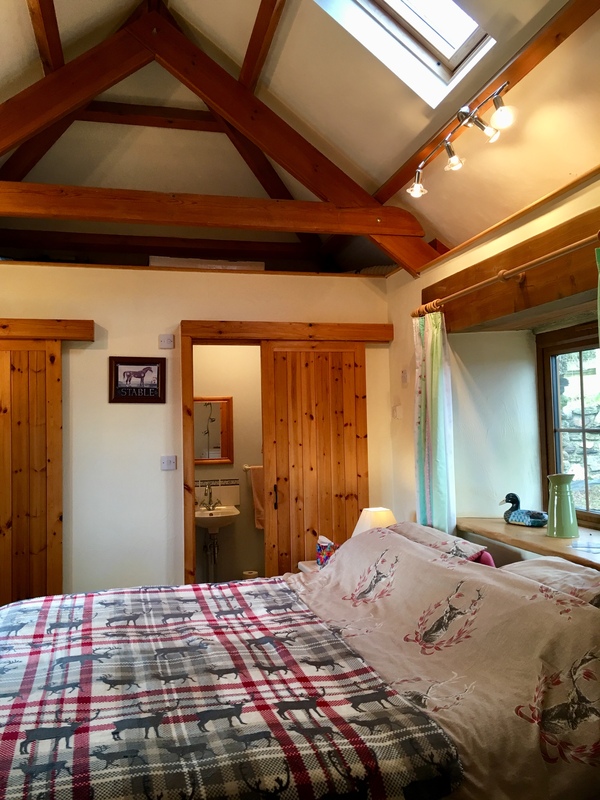 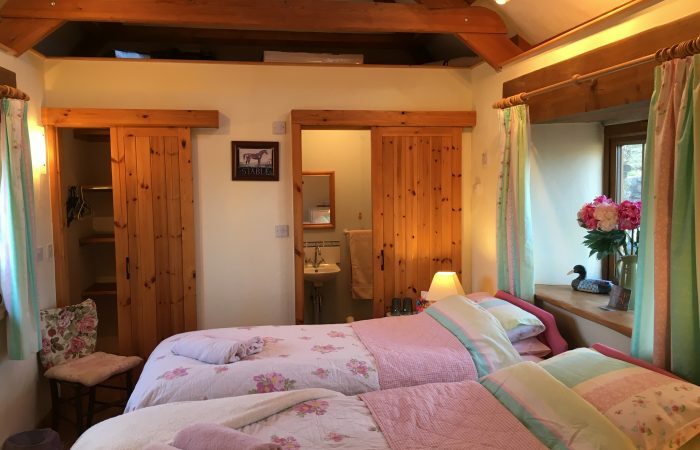 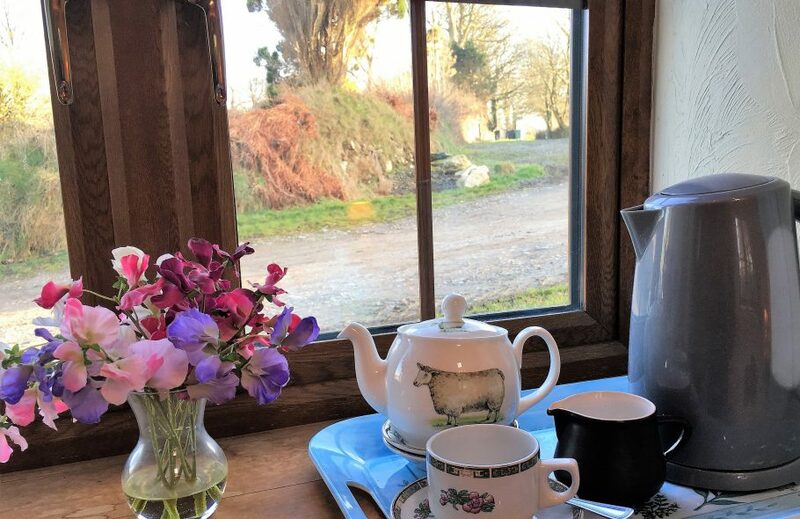 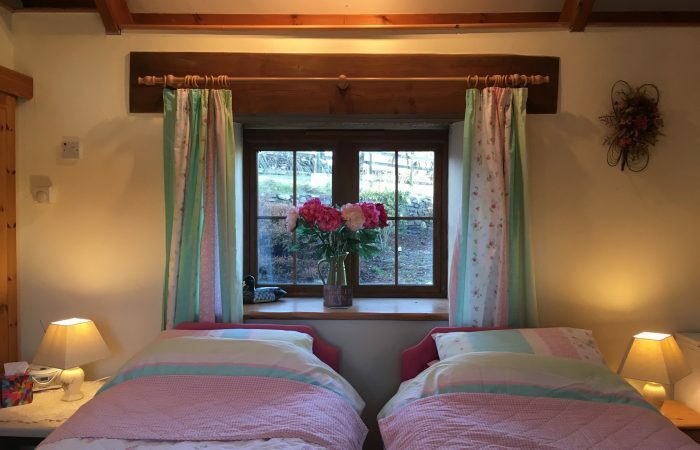 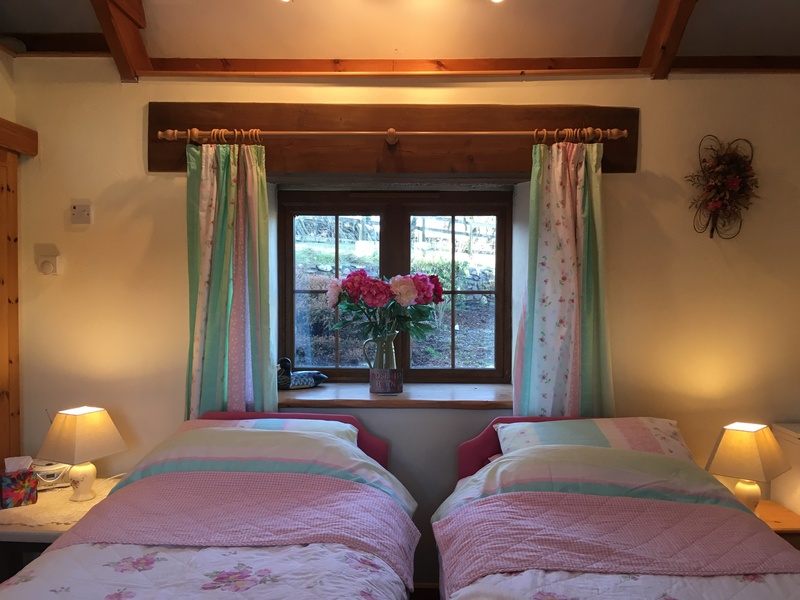 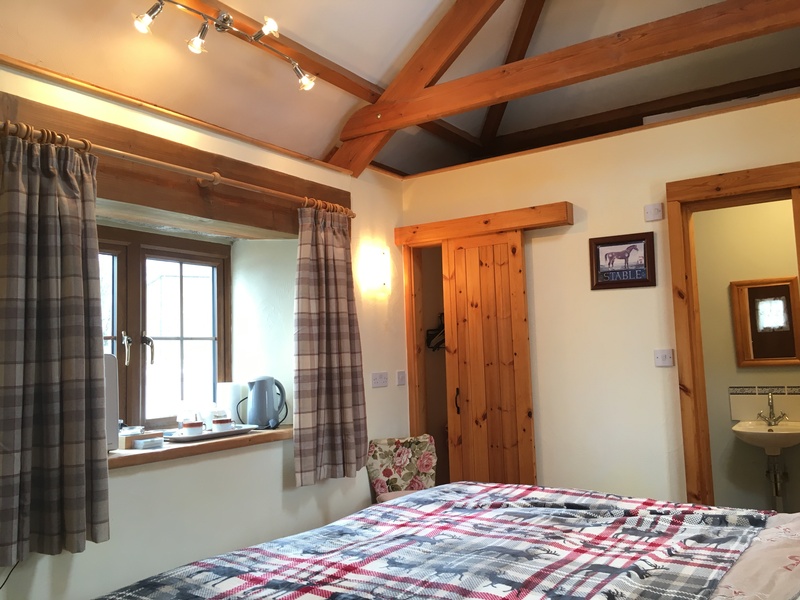 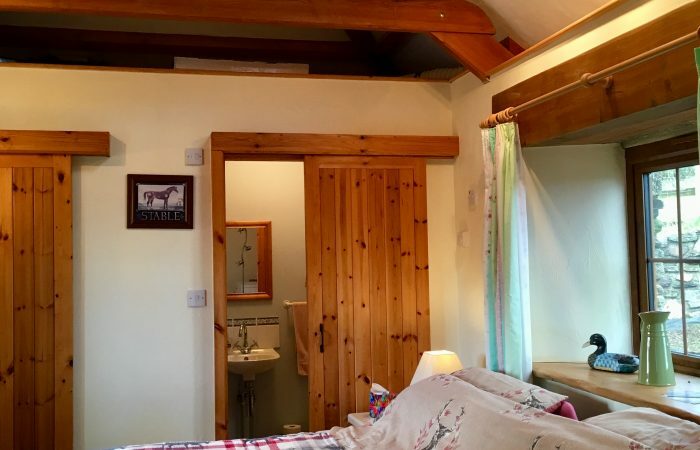 Being small, cosy and warm it’s great for couples or single persons as a one or two night stopover being convenient as we are just 1 mile off the main A395 leading into Cornwall. 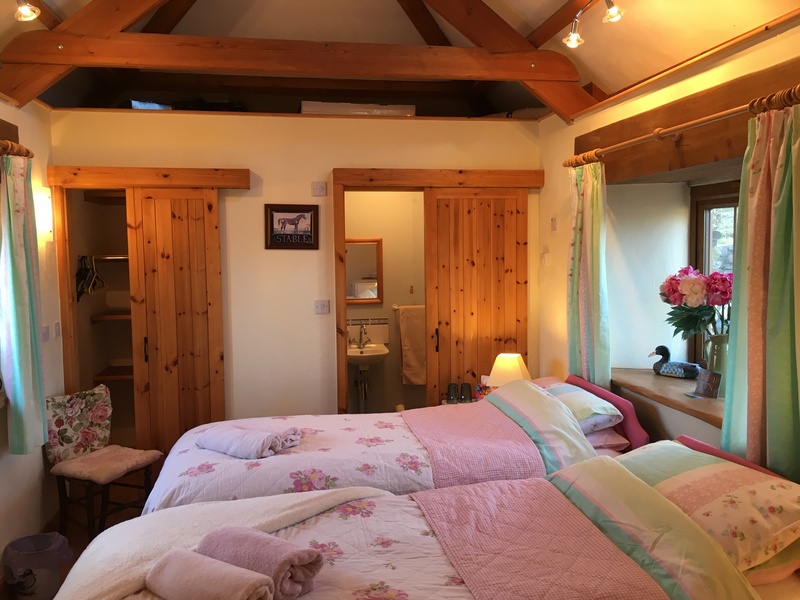 Guests can slumber in a super king size comfortable bed,and wake up feeling refreshed and ready to continue on with their travels. 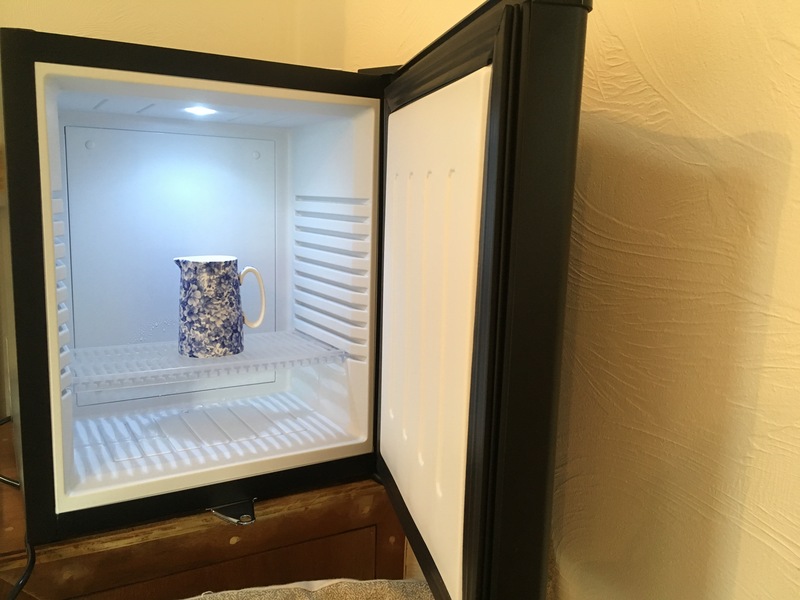 It’s such a quick and easy stop to make. 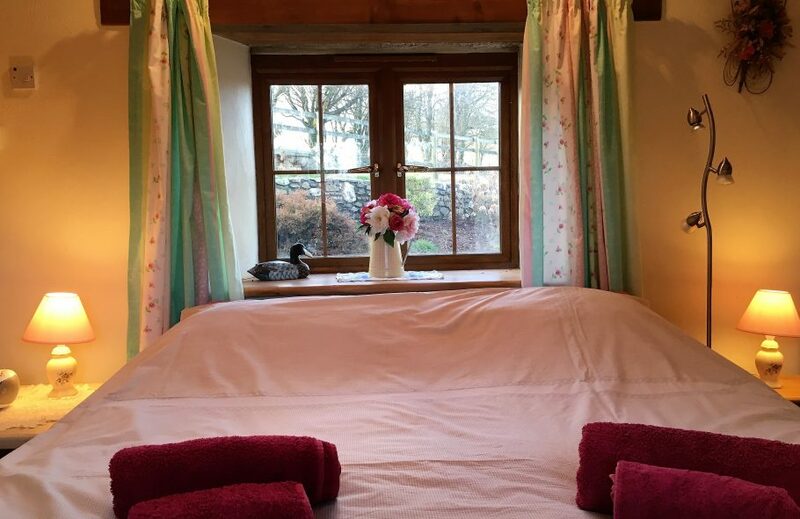 The super king-size bed can be un-zipped to provide two single beds if guests prefer, so please let Sheila know before your arrival so the bed can be made up to our suited requirements. 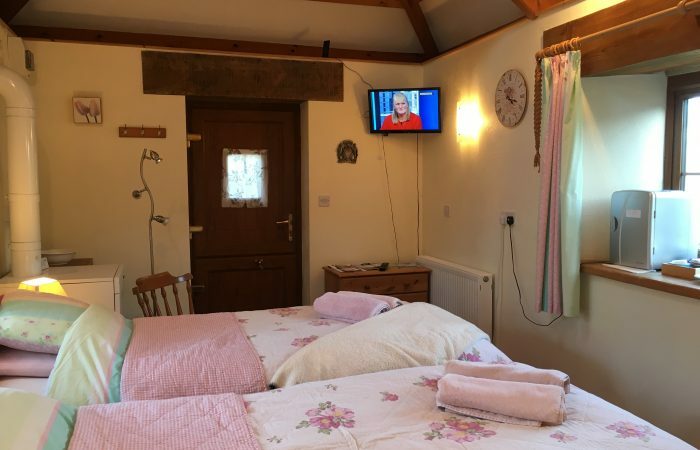 Guests can take a gentle walk along the country lanes or sit out in the patio and enjoy the evening before retiring to bed. 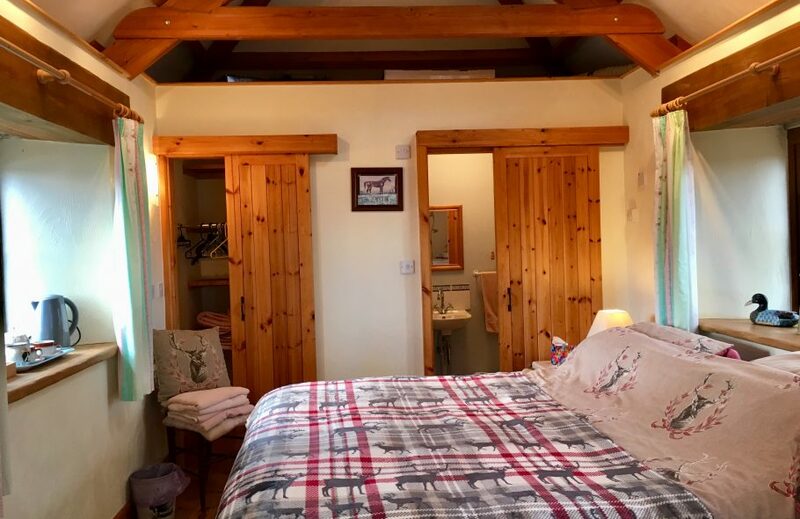 The Stable is en-suite with a soothing refreshing shower, hand basin and WC with two towels per guest provided for your use. 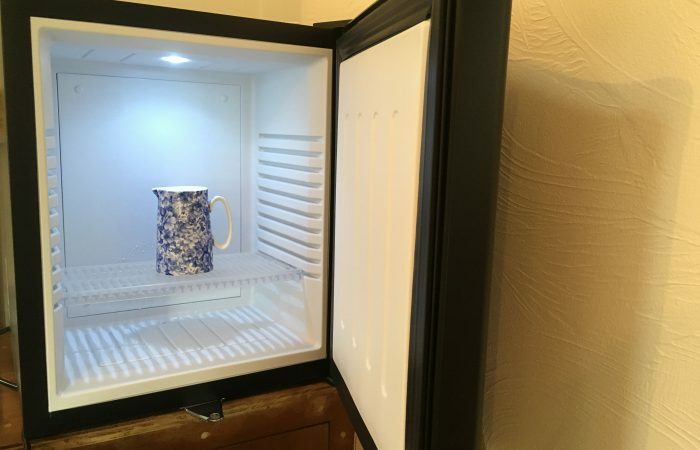 Tea and coffee making facilities are available and also a mini fridge to keep the milk cool. 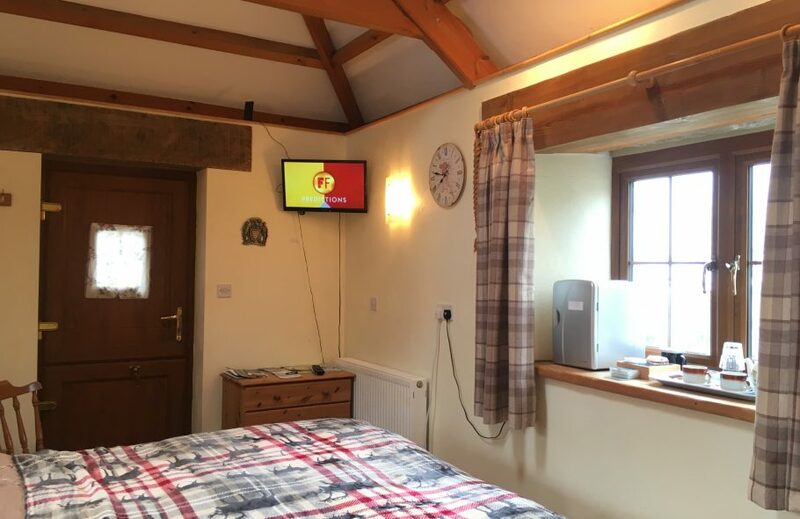 After a long day sightseeing guests can relax and enjoy watching their favourite TV programs or unwind listening to some music on the radio. 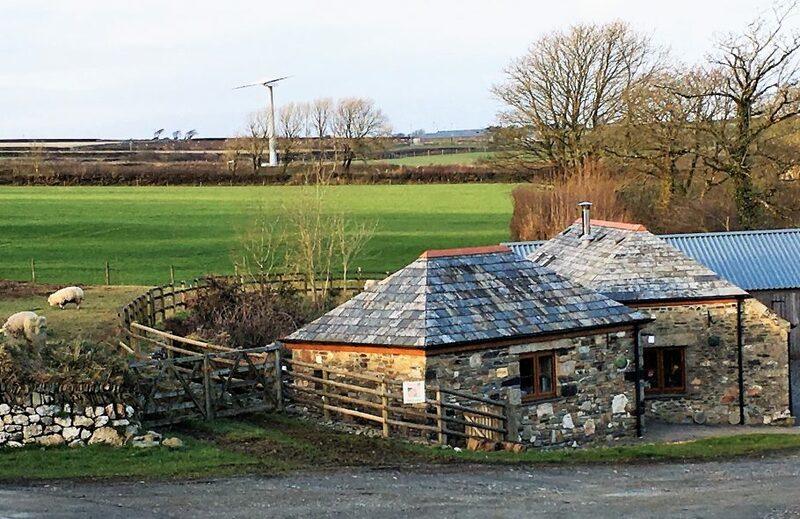 Parking is off road and just outside. 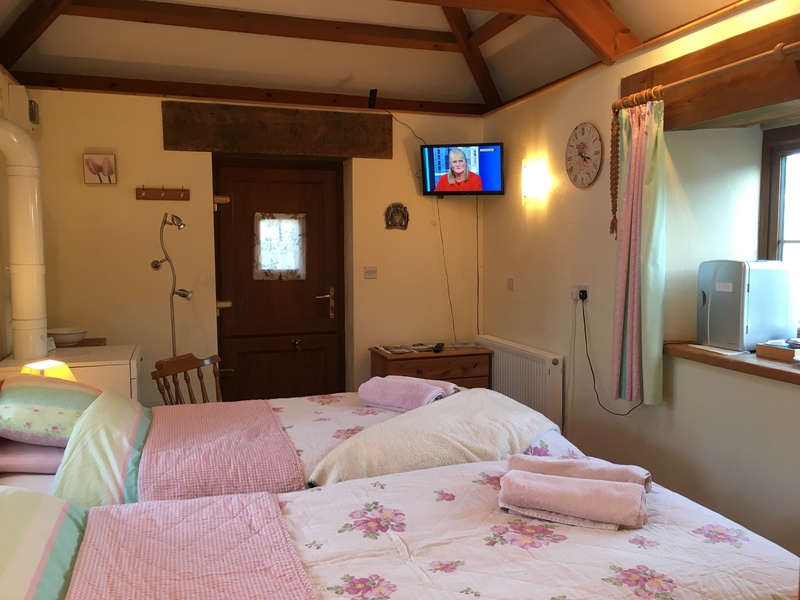 The Stable is not a Bed and Breakfast but if guests would like a continental breakfast then please book with Sheila as it can be provided, but is charged for in addition to the accommodation.